Dr Alison Gardner from the Rights Lab at the University of Nottingham has picked up a national award for her work in helping to tackle modern slavery in Nottingham. Dr Gardner received the Marsh Award for Community Activism in Combating Slavery for an event she ran at the University last June, in partnership with Unchosen, a charity that uses the power of film to fight modern slavery in the UK. The event was called ‘Nottingham Stands Against Slavery’ and Dr Gardner and her team used a mix of Unchosen’s films and discussion with local panel members to explore how we could make Nottinghamshire slavery-free. 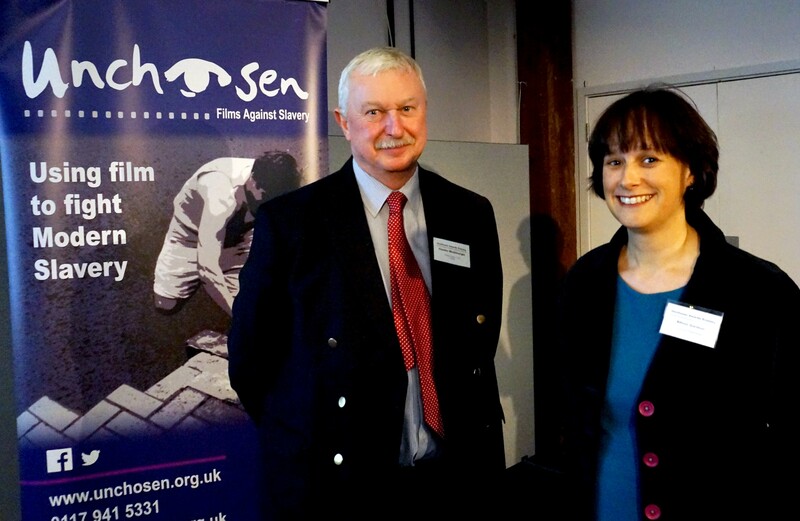 It was part of a wider event, organised by Unchosen in partnership with the University, on preventing slavery. Dr Gardner picked up her award at a ceremony in Bristol on 15 March and a prize of £500 which will be used to extend the team’s awareness-raising work locally. Dr Gardner is part of the Rights Lab – a world-leading group of contemporary slavery experts. Unchosen’s aim is to raise awareness of modern slavery by empowering individuals, communities and organisations to recognise signs and take action. The Marsh Awards are the creation of Brian Marsh OBE, Chairman of the Marsh Christian Trust. They exist to highlight the outstanding commitment and hard work of individuals and groups who dedicate their energies to improving people’s lives and the world we live in.